Located in Fairfield, California, Interstate 80 Logistics Center features 36-foot clear height, 56’ x 60’ column spacing, 60’ speed bays, ESFR sprinkler system, 69 dock-high doors, 4 drive-in doors, 31 trailer parking spaces and 192 auto parking spaces. The City of Fairfield offers skilled labor, affordable housing, and a sophisticated, creative environment for business development. 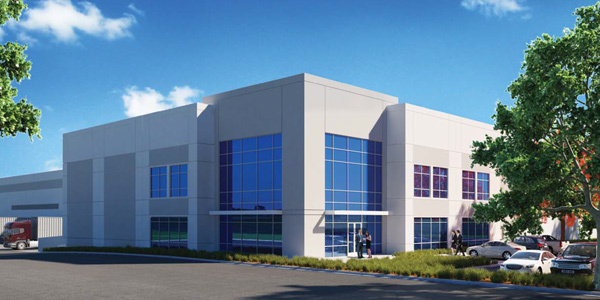 The cross-dock building is being developed on a 19.6 acre site fronting on Highway 12, strategically located just 1 mile from Interstate 80, the east-west route connecting San Francisco Bay Area and Oakland to Sacramento and the Central Valley. Construction of the Class “A” 378,405 square foot logistics facility is underway with completion scheduled in the Summer of 2019.